How Can I Add Repeating Decimals? Repeating decimals are numbers that continue after the decimal, such as .356(356) ¯. The horizontal line, called the vinculum, is usually written above the repeating pattern of digits. The easiest and most precise way to add repeating decimals is to turn the decimal into a fraction. Remember from beginning algebra classes that decimals are actually shorthand ways of expressing fractions with a base number of 10. For example, 0.5 is 5/10, 0.75 is 75/100 and .356 is 356/1,000. The digits after the decimal are the numerators of a fraction. After the decimals are fractions, find a common denominator and add to find the sum. Examine the addition problem 0.56(56) ¯ + 0.333(333) ¯. The parentheses and vinculum indicate repeating digits. Multiply both sides by 100: 100x = 56. 56(56) ¯. Multiply both sides by a power of 10 that is equal to the number of digits in the repeating pattern. After moving the decimal over two places, you now have a whole unit and the original x factor above. Simplify the equation by writing it as 100x = 56 + x.
Divide both sides by 99 to isolate the x, thereby creating the necessary fraction, X = 56/99, which does not reduce. Multiply by 10, that is, the same number of digits in the repeating pattern: 10x = 3. (333) ¯. Simplify to 10x = 3 + x.
Divide both sides by 9: X = 3/9, which reduces to 1/3. Find the common denominator of 1/3 and 56/99. In this case, 99 is the common denominator. Multiply the numerator and denominator in 1/3 by 33 to make an equivalent fraction with the denominator 99: 33/99. Add 33/99 + 56/99. Add the numerators, 33 + 56 = 89. The denominator stays the same, 89/99, which does not reduce. Leave the answer in this form unless the problem asks the answer be written in decimal notation — divide 89 by 99 to find the answer 0.89 repeating. Add 6. (5) ¯ + 7. (8) ¯. Add the fractions 6 and 5/9 + 7 and 8/9 = 13 and 13/9. Rewrite the fraction as a mixed number by dividing the numerator by the denominator: 13 ÷ 9 = 1 and 4/9. Add the whole digits, 6 + 7 = 13. Add the sum, 13, and the mixed number, 1 and 4/9 for the sum 14 and 4/9. 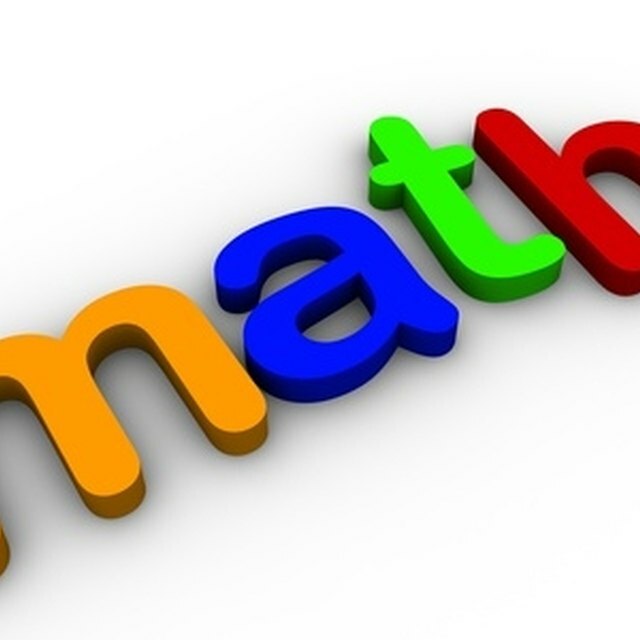 If the problem asks for a decimal answer, convert 14 and 4/9 to a mixed number by multiplying the whole number by the denominator and then adding the numerator, which equals 130/9. Divide 130 by 9 for the decimal answer 14.4 repeating. Fuller, Tuesday. "How Can I Add Repeating Decimals?" Sciencing, https://sciencing.com/can-add-repeating-decimals-8264994.html. 24 April 2017.